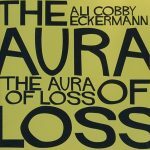 Ali Cobby Eckermann’s first collection little bit long time was written in the desert and launched her literary career in 2009. 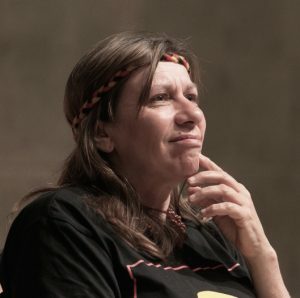 Her works have been published in various languages, and she has travelled widely to showcase Aboriginal poetry overseas. In 2013 Ali toured Ireland as Australian Poetry Ambassador. She also won the Kenneth Slessor Prize for Poetry and Book Of The Year (NSW) for Ruby Moonlight, a massacre verse novel. In 2014 Ali was the inaugural recipient of the Tungkunungka Pintyanthi Fellowship at Adelaide Writers Week, and the first Aboriginal Australian writer to attend the International Writing Program at the University of Iowa. Her memoir Too Afraid To Cry was launched in New Delhi India in 2015, on her way to Jaipur Literature Festival. In 2016 Ali presented a Keynote at the Active Aesthetics conference in Berkeley California. In 2017 Ali received the Windham-Campbell Award from Yale University and was awarded the inaugural Red Room Poetry Fellowship.